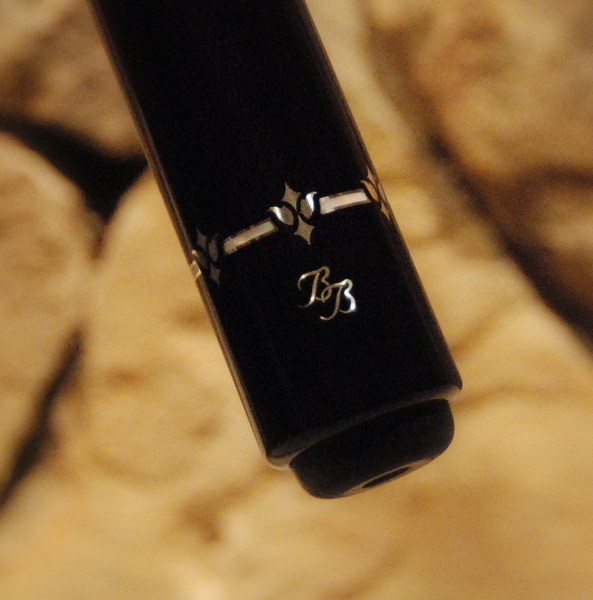 The advent of the 6 point cues was marked by the introduction segmented ring designs. 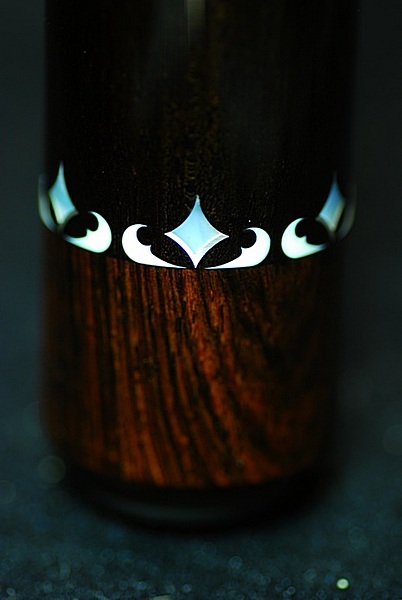 This allowed the wood to expand and contract without deterioration around the inlays. 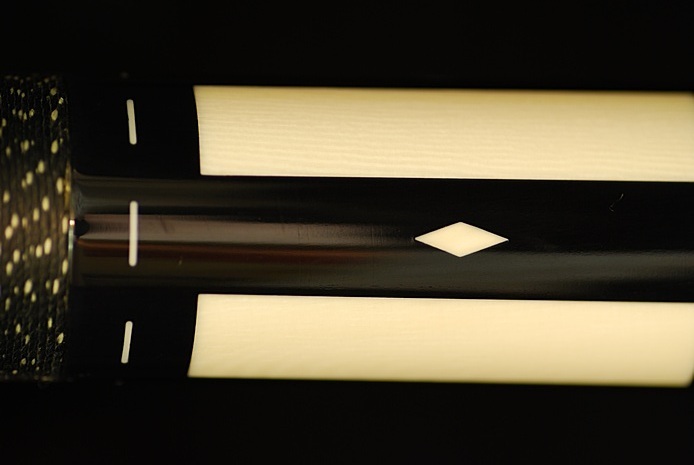 In the making of finer Black Boar cues, Tony wanted the cue to feel as good today as it did the day it was made. 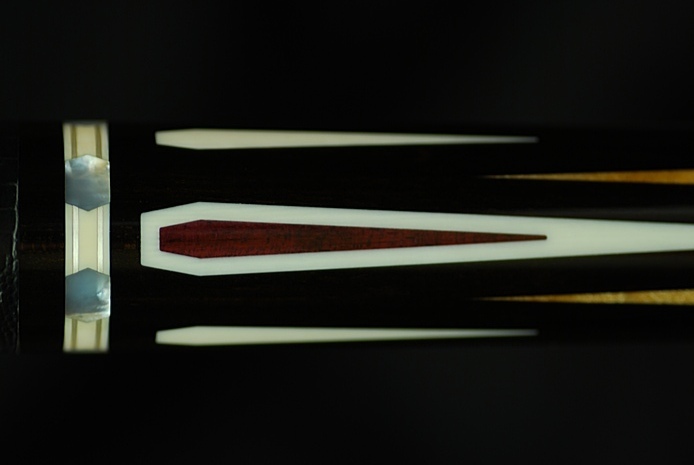 Shown above is a rare 4 point Black Boar cue featuring Ivory points and the early stages of Segmented Ring design. Found in the ring design is not Silver washers but segmented shoes. Each segment with Silver in Ivory is trimmed with Pearl insets. Each segment is .001" deep. The cue is not cut in half at this point. Notice Ring Assembly. Silver/ Mother-of-Pearl. Segmented rings allow for expansion and contraction in the cue materials that occurs because of exposure to changing humidity climates.